Description: Priced to steal! 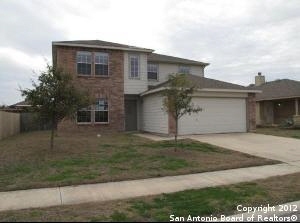 Better hurry to see this beautiful 2 story centex home! Pretty entrance opens to formal living and dining! Huge family room opens to kitchen/breakast area! Huge pantry! 4th bedroom downstairs plus full bath down! You will get excited when you see how large the master retreat is! Great master bath with garden tub, his & her sinks, walk in shower plus walk in closet! 3rd living room upstairs separates master from 2 other bedrooms...Plus extra large secondary bath upstairs! Better hurry!